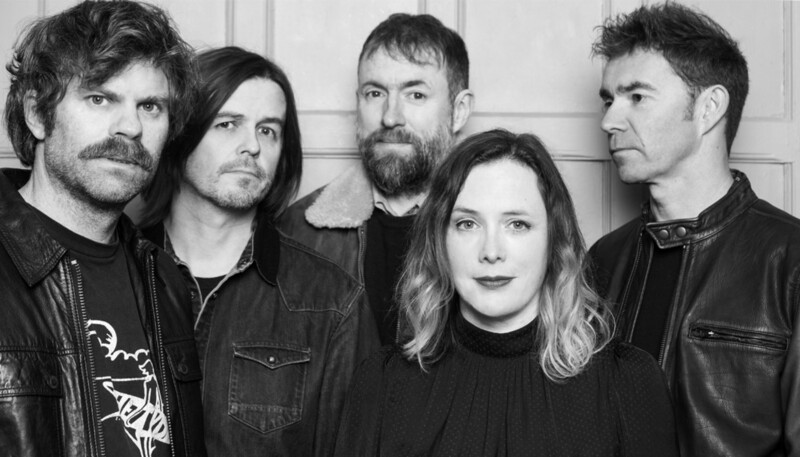 After two decades pursuing other projects, misunderstood 90s shoegazers Slowdive have reformed and are finally receiving the respect they deserve. We caught up with band members Simon Scott and Christian Savill at Slottsfjell Festival in Norway, to hear how they’re adjusting to the reunion and to find out more about what has been one of the best albums of 2017 so far. The reception for the new, self-titled record has been overwhelmingly positive. Has it surpassed your expectations? Simon Scott: I think so, yeah. When we wrote it, I think the main thing for the five of us was that we were all happy with it. So for it to come and unanimously be told it’s a really good record – and that it stands up with the others – is super-flattering. Christian Savill: Yeah, we weren’t ready for it because all our other albums had just been slagged off at the time. It was weird, really. SS: We really sweated over trying to make a great record and put loads of time and creativity into it, so to see people saying it’s a really strong album is great. Has there been any particular positive feedback that has had you taken aback? SS: Yeah, a few nights ago we played at Pointu Festival, this amazing free festival down near Marseille. Dinosaur Jr. came and stood at the side of the stage and watched us, and they were like, “We’re really buzzing about seeing you guys.” And we played with Radiohead in Belgium the other day and they came and had a chat. So things have been really surreal. The whole point of getting Slowdive back together wasn’t to be a heritage band. The idea was to make new music. Radiohead’s manager, Chris Hufford, owns the studio that you record in, right? SS: That’s right, the studio where we’ve done everything. We were struggling to get this album together – it was just really bitty trying to get together and get some momentum – and then I think it was probably Nick [Chaplin, bass] who was just like, “Hey, why don’t we just phone Chris Hufford, and see if he’ll let us go in the studio?” Chris wasn’t around to engineer us, like he did the last three records, but Ian Davenport was there. And he was brilliant. He did Phil Selway from Radiohead’s solo stuff, and Gaz Coombes’ stuff. He just got it and [the album] suddenly came together really quickly. Chris did pop in and out of the studio when he was around, but he’s a very busy man with Radiohead. So yeah, we’ve had a lot of support there, which is super-flattering. When you compare the critical reception for the new record to the hurdles you faced with your early albums, how much easier are things this time round? SS: I mean, Rachel does read reviews and features; she’s the first one to say, “Hey look, we got this score.” So we care, but it’s about not believing everything that people say. As you say, we’ve been through this period where everybody’s said, “We hate this record, we hate this band,” so this time round it’s a nice contrast but we’re not gonna take it too seriously. And every time we go on stage we still want to prove to people we’re a good band, and when we go back in the studio and record new stuff, we’ll still feel like there’s a point to prove. A lot of bands who reform after a long period away, primarily preach to the converted but this album has really connected with younger audiences too. Why do you think that is? 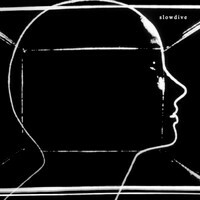 SS: And I think the album sounds kind-of familiar, in that I think when you put it on you think it sounds like a Slowdive record. So even though there are different flavours and a bit more modern technology on it, it resonates. And I think, as Christian said, because the influence has gone into new bands, it feels contemporary to their ears. Which is brilliant for us, you know? I think it was in Montreal where I went out to the bus at the back of the stage to change my t-shirt or something, and there was a group of kids. They couldn’t get in to the show but they were hanging out because they wanted to feel part of the band. There were five or six of them, and they’d formed a band because they’d heard Slowdive for the first time this year. So that’s a really amazing compliment. For the benefit of anyone who hasn’t heard the new album yet, what can they expect? CS: I think there’s some good melodies on there. SS: We try and create a sound universe, where hopefully people hear it and it takes them off somewhere else and emotionally resonates. I always think that Slowdive opens a window for people to interpret the songs how they like, applying it to their own personal lives or whatever. So you can actually get emotionally attached to that sound world, and it can soundtrack your life. I like that, because when we were kids buying Dinosaur Jr and Spacemen 3 or Pink Floyd records or whatever, they soundtracked our life, playing it with our friends, or in the car. So, yeah, hopefully listeners will discover a sound world that’s slightly unfamiliar and exciting, and that emotionally draws them in, you know? You’re currently on odds at 20/1 to be nominated for the Mercury Prize, you know? SS: I wouldn’t put a bet on. CS: I mean, it would be pretty amazing due to the fact that we were a band that absolutely couldn’t get people we knew to come and watch us 20 years ago... But I’ll believe that when I see it. SS: The thing, we charted which was great because it showed that people were paying attention to us when we released this album. But I listen to so much great music that never gets anywhere near the charts, or a look in for anything like this. So I personally don’t like the way the Mercury Music Prize ignores so much good music. It’s a shame they don’t dig a bit deeper. But even just talking about our album as a potential nominee is really kind. You’ve said previously that you didn’t have any particular goals for this second incarnation of Slowdive. Have the goal posts moved at all? CS: I think we’d like to make another record. Have you started work on another record? CS: No, we’ve got too many gigs on. But we’re discussing it. SS: But yeah, I think we always wanted to do not just one record and then disappear. The whole point of getting Slowdive back together wasn’t to be a heritage band. The idea was to make new music and, provided we were enjoying it and it felt really fulfilling and we were recovering new ground, we wanted to carry on. But in terms of ambitions and stuff, it’s just about making really, really good music, being good live and that hasn’t changed. But is being in Slowdive more enjoyable second time round? CS: I’m enjoying it more to be honest. I used to be terrified of playing live but now I like it. So the plan for the rest of 2017 is mostly playing live, right? SS: Yeah, we’re flip-flopping all over the place. I think in the Autumn it’s going to have more coherence. We’re playing in Europe and the UK in October-time. And then we’ve got America in October/November. And then stuff is almost being firmed up for end of the year, next spring. I mean, like Christian says, we’re really enjoying playing live now and we want as many people to hear the music and the record as possible.